1 Bedroom Flat To Rent in London for £1,950 per Calendar Month (Calculated). 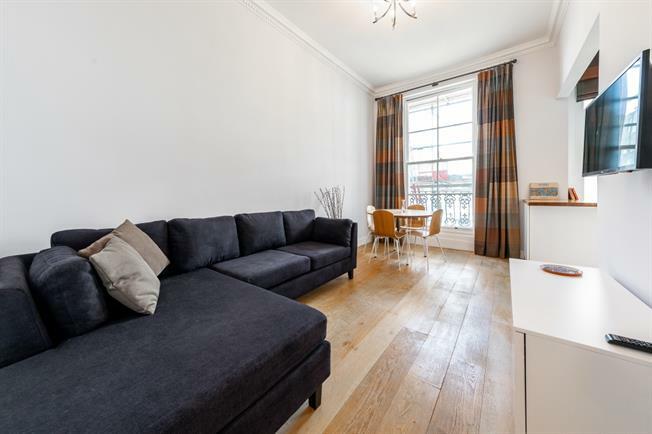 This superb, newly refurbished one double bedroom apartment is located on the first floor of an elegant period building on Chepstow Road. The property offers plenty of natural light and boasts contemporary interior with wooden floors throughout and high ceilings. The property comprises modern kitchen and bathroom, airy reception/ dining room and spacious double bedroom to the rear of the property with great storage.